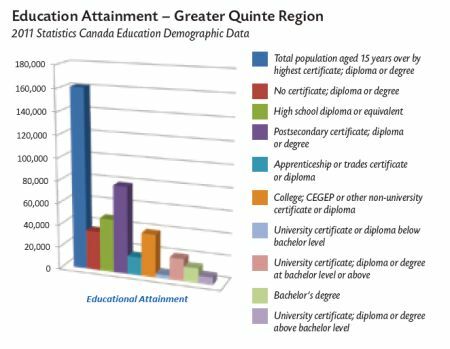 Links to Demographics on Quinte West & Canada. Market (500 mile radius): 50 million people. 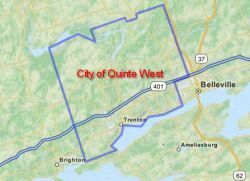 Quinte West includes the communities of Trenton, Barcovan Beach, Batawa, Bayside, Chatterton, German's Landing, Glenn Miller, Glen Ross, Halloway, Johnstown, Lovett, Madoc Junction, Maple View, Mount Zion, Oak Lake, River Valley, Roseland Acres, Spencers Landing, Stockdale, Tuftsville, Twelve O'Clock Point, Wallbridge and Wooler.